I had an invite from XP to be their guest at the Paris show, as it was our anniversary I asked Lyn if she wanted to go to paris for the weekend…great she said so I had a result ! 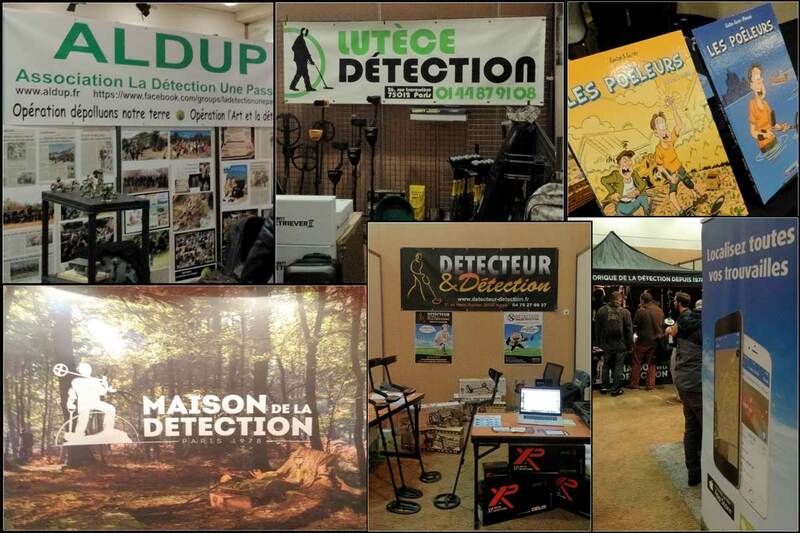 The metal detecting show was called the 1er Salon de la Detection, it is a 2 day metal detecting meeting and held on the first floor of the Novatel hotel just East of Paris centre. The organisers got it right, from what I could see these guys knew what they were doing, all around I could hear great interaction and comradery between those who attended, I was really amazed to see such great support for the hobby in France…when metal detecting has so many archaic laws. I worked mainly on the XP stand and it was a great pleasure to talk with people who have watched my video’s and read the reviews…I was even asked for autographs and offered beers. The guys from C scope were there I had a talk with Martin and Paul who are looking at some new idea’s for the very near future, C scope are one of the last UK detector manufacturers to survive and have always been known for excellent build quality and reliability, it’s good to see they are still in the game and I look forward to hearing from them soon. Minelab had a representetive from Ireland helping out on the Minelab dealer stand, nothing new from them just yet, I asked about a mid range machine or upgrades to the CTX but nothing as of yet. There were to many trade stands to list, I will make a short video to compliment this excellent event. What about XP metal detectors ? 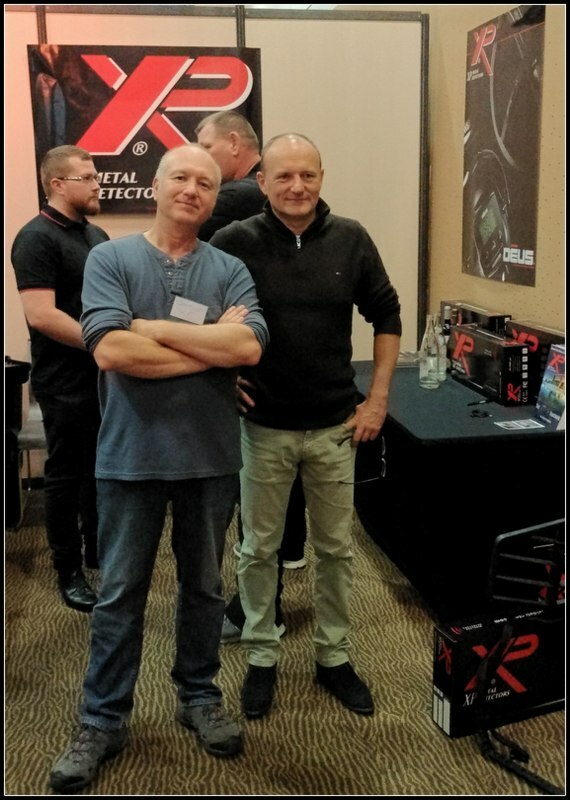 These guys are really sparking at the heels, lots of new products due for next year, we have the Deus version 4 update, a new coil, a new pin point probe, a Hoard Hunter, plus some other innovative idea’s I can’t talk about, but rest assured these guys are busy. The French detectorists really did the hobby proud and I really hope they can get some suitable treasure act agreed very soon. 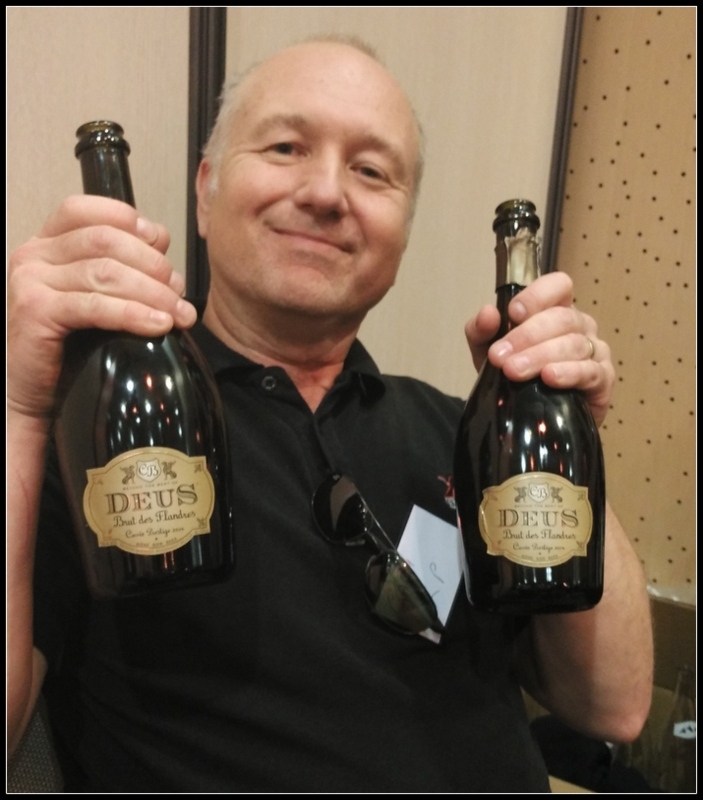 Oh yes I sampled some Deus beer to ! I didnt get too much time to talk with Alain, he was so busy talking to people I thought my questions could wait until another time, I’m sure he will be visiting me soon for some detecting.